Forms the experimental rock group Identity. Publishes the magazines The Pill no. 1 and 2. Records his first complete work, the tape Et Aar som Nygifte i Paris’ Kloakker (“A Year as Newly Wed in the Sewers of Paris”), a title never released but often referred to as his first production. Identity becomes Ballet Mécanique and Hall makes his record debut with the single Avenues of Oblivion. Arranges and performs at The Art and Music Triangle Project headlining Ballet Mécanique and avant-garde performers No Knox (an ensemble that Hall subsequently joins as a musician between 1981 to 1982). Performs at the Gammel Kongevej 13 AB project with his elektronic duo Dialogue, a thee-day festival featuring art, music and theatrical performances. Works with words and graphics as well as film, video and dancers in relation to Ballet Mécanique’s multimedia concerts. Releases the tapes 1st – 18th and Den Triumferende Amor (“The Triumphant Cupid”). Forms the legendary Danish rock group Before with the singer and poet Fritz “Fatal” Bonfils. Exhibits visual art and performs with Ballet Mécanique at the NÅ! !80 arrangement, another three-day festival featuring young upcoming artists. Publishes the magazines Consumer’s Guide to Welfare part 1, part 2 and part 3 as well as contributing to several issues of Iklipsx, a Danish post-punk art and music magazine. Publishes the magazine Consumer’s Guide to Stupidity. Ballet Mécanique collaborates with Danish performance theatre group Billedstofteateret at Fortropper, a project that also features poet and literary critic Poul Borum. Releases the tape Uden Titel (“Untitled”). Ballet Mécanique plays as the only “new-rock act” at that year’s Roskilde Festival, a performance that causes a massive crowd walk-out at the festival (subsequently Hall gives an unprecedented critical live-interview on Danish national radio in relation to the festival as a whole). Contributes to the anthology Platform featuring artists such as Søren Ulrik Thomsen, Lillian Polack and Jesper Reisinger. 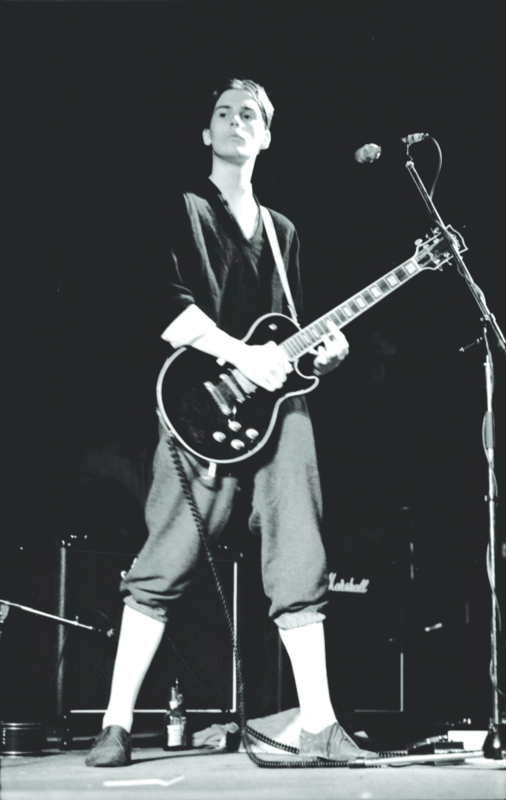 Makes his album debut with Ballet Mécanique’s The Icecold Waters of the Egocentric Calculation, a record that is still regarded as a cornerstone in contemporary Danish music history (figures on the list over the 50 most important releases in Danish rock ever in Politiken’s highly esteemed rock encyclopedia). Writes the music for the film Nattens Engel (”Angel of the Night”) with Danish poets such as Michael Strunge, Bo Green Jensen and F.P. Jac. Forms the fusion group Pesteg Dred, a band continually mutating in form, expression and members (at one point including Danish painter Peter Bonde). Contributes to the cassette and magazine release Vietato ai Minori released by the Italian label Trax, a compilation featuring new European composers. Forms the highly experimenting theatre group The Art Ensemble of Copenhagen with whom he performs the show Giv Folket Brød, Vi Spiser Kage (”Give the People Bread, We’ll Have Cake”) in April. During the same month Ballet Mécanique and Billedstofteateret perform a new version of their collaboration Forben, originally performed at Fortropper a year earlier. Performs on and contributes to the international Traxtra album in company with a line of other experimenting composers from all over the world. In October Ballet Mécanique’s album For is released after which he terminates the group. Forms the new ensemble Under For operating with a more classical line-up (cello, violin and harp). Makes his debut as a writer with The Recreation Is Greater, a book that arouses equal amounts of excitement and furore due to its extremely uncompromising tone and style of writing. Performs the literary work Career & Masturbation live at Café Victor (the scene and focal point for Danish poetry at the time). Releases his first record as a solo artist, the 12″ mini album Ritual featuring three compositions for strings and percussion. Plays violin on the Before single Sister Culture after having left the group during 1981. Plays periodically with the modern opera inspired ensemble Alive With Worms. Admitted to The Royal Danish Academy of Fine Arts (Schools of Visual Arts) in Copenhagen. Performs his composition Inskription in the Danish National Radio, a concert performance that is transmitted live as well as subsequently released by both the art magazine Kong and the Dutch label Sisyphos Productions (both editions being music cassettes). Performs with Under For at the ISCM World Music Days in Aarhus Musikhus (the performance is released 25 years later in relation to the re-release of the group’s debut lp). Contributes to the anthology Pearls before Swine. Forms the band SS-Say that plays its debut concert at the William S. Burroughs arrangement in Copenhagen. Releases the epic Under For album Apparently All the Same in May, a record that receives a great deal of attention and praise in both the Danish and English music press. Opens the exhibition God & Grammar at Charlottenborg with four compositions written for Tibetan horns made of femurs and tape loops. Writes the music to and performs in the Claus Bohm film Totem. Releases the Under For 12″ single Free-Force Structure. Releases his second book The Identity of Alienation. Writes, composes and instructs the multi-media theatre performance Parade with The Body Art Ensemble of Copenhagen, a provocative work of art that cements his status as a true vanguard artist. Releases the 12″ Fusion with SS-Say. Makes his album debut as a solo artist with Relief upon which he plays all instruments (the album is released simultaneously on the German market and is still regarded as a piece of pioneering work in the field of electronic pop music and synth rock). The art magazine Atlas includes the at the time unreleased Pesteg Dred album Years of Struggle against the Lies, the Stupidity and the Cowardice as a music cassette alongside the release of the first edition of the magazine. Issues Warfare, the last Under For record. Forms the synthpop duo Front and Fantasy with Martin Krogh, a duo that releases the classic track Treatment as their one and only single. Releases the double-album Cutting Through (The Final Recordings) in February, a work that consists of one record with hi-tech synthrock and one record dedicated to Hall’s work in the field of ambient music. Writes the music for the Danish dance company Nyt Dansk Danseteater’s performance Between Two Eternities after which he isolates himself for two years to go through a period of metaphysical studies. Achieves a major comeback with the album Presence in the autumn, a grandiose and symphonic pop release. The title contains the single Beat of the Drum, a song that ends up being the most played Danish single on the leading Danish radio station The Voice that year. 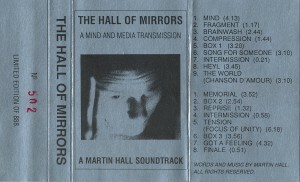 Establishes his own label Mind and Media that releases the cassette and booklet The Hall of Mirrors. Forms the trash group and multimedia show And Then Again with video director Henrik Möll, a constellation that performs a range of very different concerts in autumn. Releases his third book Continuum. Writes the music for the film series The Point of No Return. 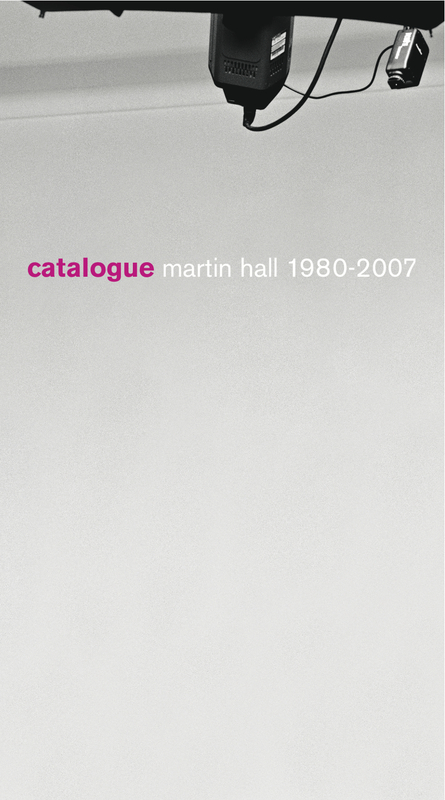 Releases the compilation album The Martin Hall Document. 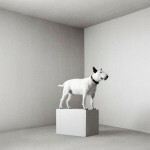 Participates on the Peter Bonde 7″ double-single Untitled. Writes and performs Requiem at Taksigelseskirken (a church in Copenhagen) in December. Releases the highly acclaimed Imperfect album featuring the promotion single Prime Material alongside the simultaneous launch of the video cassette collection Audio-Visual. During June the And Then Again album Dreamworld appears, a title recorded live on the group’s 1989 tour. In September Palladium follows, an ep that includes contributions from several guest vocalists. At the end of the year the later Grammy-nominated record The Rainbow Theatre featuring the 67 years old former cabaret singer Irma Victoria is released, an album that causes quite a media stir (partly due to the artist’s exceptional lack of musical talent, but also due to speculations whether she actually exists or not). Contributes to the anthology Long Ago, Recently. 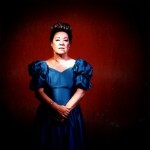 Irma Victoria is Grammy-nominated in the category “female singer of the year”, a decision that is rumoured to have forced the branch organisation IFPI to subsequently change the rules for the special juries’ influence on the prestigious nominations (the other two nominees that year were multi-platinum act Hanne Boel and legendary The Savage Rose singer Annisette). Releases the Read Only Memory album with German lead vocalist Aud Wilken. Contributes to the anthology Museum at Noon. 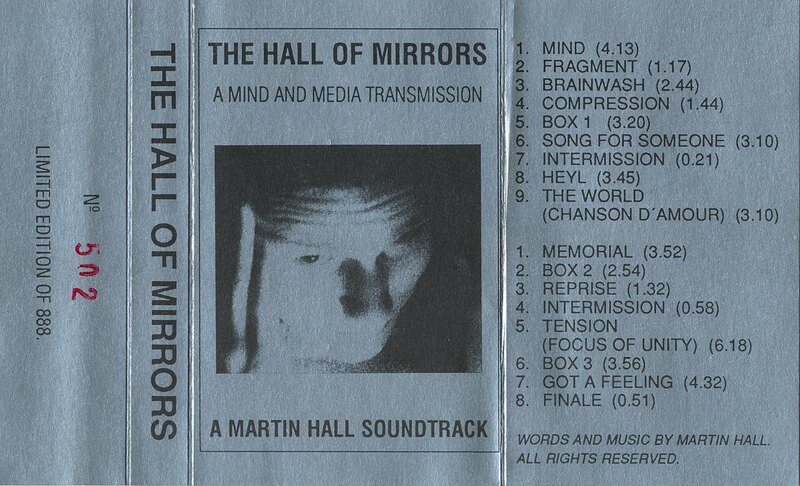 Releases the tapes A Mind and Media Index and A Martin Hall Index. Writes the music to two short films on the video release Video Trance Mission released by the Swedish label PCP. Begins recording the album A Touch of Excellence. Releases the music cassette A Split Index. During the summer the NTT single Sweet Mystery featuring lead vocalist Tina Schäfer appears. In the same period the Read Only Memory track All the Way Down is included as a 7” bonus single alongside the release of the magazine Adventure #9. In September his first single as a singer for more than three years, Strange Delight, becomes a huge radio hit. Achieves yet another massive comeback with the highly successful album A Touch of Excellence, a release that includes performances from 45 Danish musicians – names such as the world famous jazz musician Niels-Henning Ørsted Pedersen and several members of the Danish punk godfathers Sort Sol. Writes the music to the critically acclaimed Bjarne Solberg installation Sphere. Performs at the prestigious Venue festival, a concert transmitted by Danish National Radio. Releases the single Angel of the Night, a song taken from his latest album (the cd-release further features the instrumental title track from the film Night & Day as a bonus track). Endures his first major Denmark tour throughout March and April, the Pandemonium Tour. In October follows the (in)famous album Phantasmagoria – The Second Coming featuring the 72 years old Irma Victoria, an album that gradually attains European cult status in the following years (among other things due to the neofolk band Death in June’s use of her music to a number of the group’s concerts during this period as well as the French label Sordide Sentimental’s distribution of the record). Ends off the year with a midnight concert at Hellig Kors Kirken (The Holy Cross Church), Ceremony of Purification, a highly praised performance later released as a limited edition cd. Receives the honoury award from DJBFA (The Association of Danish Composers) in March. Performs a series of new and old compositions accompanied by the string quartet The Danish Quartet in the concert hall of The Danish National Radio with direct live coverage (the recordings are released as Performance in 1997). Receives the prestigious three-year grant from The National Fund for the Endowment of The Arts in April. Performs with The Danish Quartet at the Roskilde Festival in the summer. Writes the music for the performance show Conflicto Fetish Party in Alexandra in August. Produces the Irma Victoria contribution track on the Steppeulvene tribute album Hip (”Itsi-Bitsi”) as well as providing a substantial part of the lyrics on the Grammy-winning Ester Brohus album Heart of Desert Longing. Writes and records the official Christmas song for the Danish National Radio, an English version sung by Aud Wilken, “December Days”, and a Danish version performed by Maya Albana, “December Nat” (“December Night”). Releases the single Cradlemoon in January and the highly acclaimed album Random Hold in February (a title later to be included on the list over the 50 most important releases in Danish rock in Politiken’s highly esteemed rock encyclopedia). Releases his debut novel and fourth book entitled The World Days in March – simultaneously with the ep Extended Play that includes several newly recorded tracks not included on the preceding album. Performs his only concert in Denmark that year in Cirkusbygningen (Copenhagen) in May, a concert in an old circus arena featuring full album line-up (i.e. electric ensemble as well as strings). The concert is recorded and transmitted by the Danish National Radio. Opens the “Kulturby 96” campaign (Copenhagen being the cultural city of Europe in 1996) with a series of word- and soundscapes transmitted from beneath the town square via 25 buried loudspeakers. Writes most of the lyrics to the double-platinum album Silent Violence with Hanne Boel, a title that is released throughout most of Europe during September (the album includes the hit single “Broken Angel”). Contributes with material to the German sampler Electrocity Volume 8.0 in November. 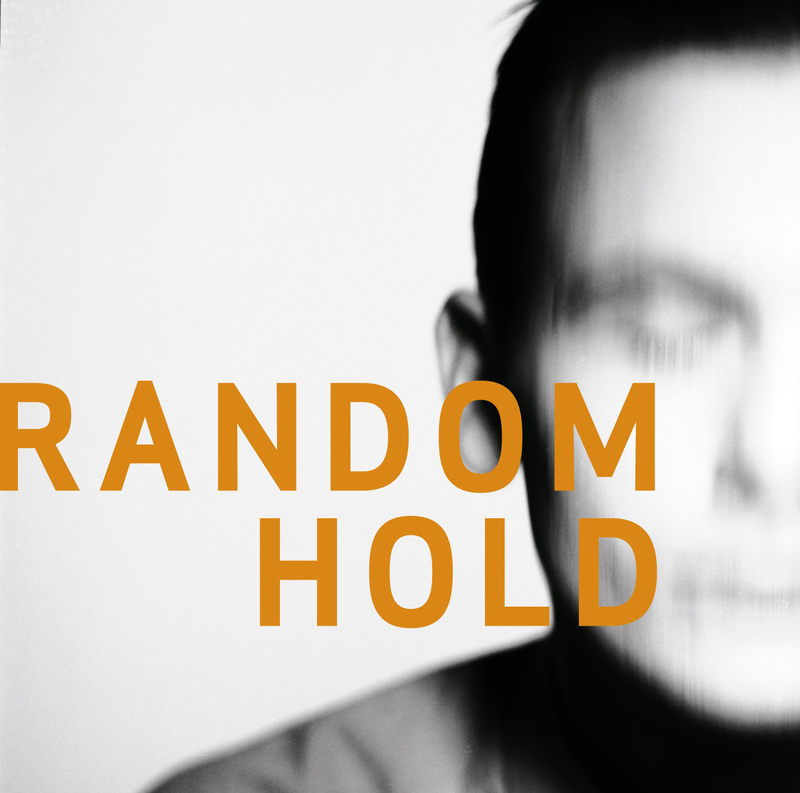 Random Hold ranks as #3 on the well-respected Danish music magazine ZOO’s top 100 for 1996 (only surpassed by R.E.M.’s New Adventures in Hi-Fi go Suede’s Coming Up) and is appointed “album of the year” in the Danish National Television programme Tilt. The limited edition titles Testcards 1989–1995 (a double-cd featuring formerly unreleased demo material) and the 7″ single Hallmark 1–4 are released during April and May. Contributes with material to the German sampler Bouquet of Dreams Volume 3. In October Public Propaganda releases Random Hold in Germany, Austria and Switzerland (a company formerly known for their work with artists such as Björk and Prodigy). At the same time the Danish label Lidocaine releases Hall’s radio concert with The Danish Quartet from 1995 under the title Performance. Appears on the Top 50 over the most important Danish rock albums ever in the encyclopedia Politiken’s Dansk Rock Leksikon 1956–1997 with two titles, Ballet Mécanique’s The Icecold Waters of the Egocentric Calculation and Random Hold. 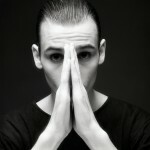 Records the tracks “Visibility” and “Love in Vein” with the German techno act Trauma featured on the album Phase III. Writes all the lyrics for the Hanne Boel album Need as well as her European hit single “Salt of Your Skin”. Releases his fifth book Untitled in September, a collection of short prose poetry which is received very well. Contributes to the ninth International Symposium of Electronic Art at John Moores University in Liverpool throughout September and October. In November Hall appears at Vega’s spoken word festival as one of the headlining acts alongside names such as Henry Rollins, Michael Gira and Lydia Lunch – a séance where he presents the audience with the novel The Disease, a manuscript never formally released, only read aloud on this single occasion and subsequently made available for the audience present at the event. Contributes with the story “Nine Cigarettes” to the Christmas anthology Christmas Stories. Grammy-nominated in the categories “hit of the year” (for “Salt Of Your Skin”) as well as “songwriter of the year”. Releases the single Burning Sugar that becomes a major airplay hit peaking at the official top 5 and attaining the “single of the week” status on the Danish National Radio. After releasing the critically acclaimed album Adapter and a second single, Just a Feeling, Hall plays a series of exclusive concerts during the spring. In August he contributes to Operanord’s Gilles’ Requiem, a major theatre production set up in an old factory in Copenhagen. Contributes to the anthology Short Prose 1999 released in September. Invited to contribute to The Liverpool Biennial of Contemporary Art running from the end of September to the beginning of November. The limited edition double-cd Testcards 1994–1997 featuring rare demo recordings and previously unavailable concert material is released in October, the same month as Ole Bornedal’s (director of the film The Night Watch’ starring Ewan McGregor, Nick Nolte and Patricia Arquette) stage play God Bless Denmark opens at the theatre Oestre Gasvaerk, a play for which Hall writes the music. Releases the album Playlist with Saccharin, a collaboration with Greek–Swedish singer Katja Andersson. In March the album Boel & Hall is released in several European countries, a collaboration with Hanne Boel that unites the two artists as joint performers on a recording. The album attains a gold sale certification during the first week of its release and contains the hit singles ”Chance of a Lifetime” and ”Can’t Help Myself”. During the summer Hall writes an additional score to the legendary Danish play Aladdin by Adam Oehlenschlæger, a supplement to Carl Nielsen’s original music. The production is performed at Ulvedalene (an outdoor venue in the middle of a forest outside Copenhagen) by Gladsaxe Teater and involves more than 200 actors and musicians as well as horses and elephants. Writes the soundtrack for the film Poet by the Danish director Claus Bohm, a film about the generation of Danish poets who have had their debut during the nineties. In March Hall releases the single My Argentine Rose followed by the classically orchestrated work Metropolitan Suite. The album is produced by and written in collaboration with the Danish visual artist Christian Skeel. 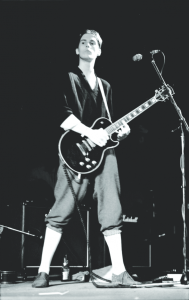 At the same time the book Kommunikaze is released, a three-year diary covering Hall’s work and personal turmoil from January 1998 to December 2000. Signs an international publishing contract with EMI Music Publishing Germany in April. Is given the honour to write the music for the opening of Ingvar Cronhammar’s grand-scale building work Elia in Herning (a Danish city), a monument inaugurated in September. During the following month Hall opens his own exhibition A Hospital Room at Ystads Konstmuseum (an art museum in Sweden), an installation based on the sounds and images made through a series of conversations with a dying hospital patient. Releases the double-cd Memorial – Finest Moments and Famous Last Words in November, a compilation album commemorating the life and art of Irma Victoria (the title also features a guest appearance by Sharin Foo from The Raveonettes). In May Hall is included in Krak’s Blue Book, a prestigious book of summation of the most important people in Danish art and culture. Contributes to book Back then in the 80′s. Writes the Belgravia hit She Shines, a huge Danish radio hit that summer. In September he releases two albums on his new label Panoptikon, a newly recorded songwriter album entitled Music Hall (a collection of Hall songs performed by a cavalcade of new Danish female singers such as Lise Westzynthius, Mette Sand Hersoug from Moon Gringo, Catbird feat. Billie Koppel and Tanja Thulau from Luke) as well as his legendary Danish National Radio concert from 1983, Inskription, which thereby gets released on cd for the first time. The latter’s 20 years jubilee is celebrated with a new and modernised version performed live on September 11 by the Danish electronica act Wäldchengarten. In November Hall collaborates with Danish-Australian author Jeff Matthews on The Wheelchair Wildstyle Soundtrack, a book released with its own soundtrack. Releases the album Das Mechanische Klavier in June, a series of modern songs and lieder performed by the mezzo-soprano Andrea Pellegrini with narratives read by the German scholar Herbert Zeichner. Writes the music for Patricia Davelouis’ short film Shore of Fog. 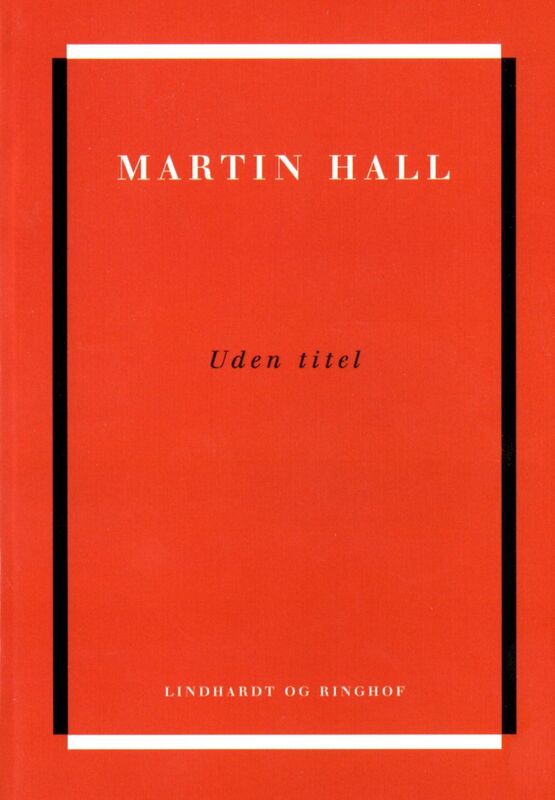 Composes the musical setting for The Danish National Radio production of two Per Højholt short stories in relation to the author’s death in October (“Mr. Hamilton Fish” and “Genital and abdominal self-surgery”). Declines to extend his international publishing deal with EMI as a songwriter (his comment to the press goes: “I’ve done my military service now”). Spends the autumn and winter finishing his new novel. Releases his first record as a singer for more than six years in April, the Introducing Roseland ep featuring the grandiose radio hit “Roseland”. One of the leading participants in The Caravan of Culture and Education in May (a set of conferences taking place at various institutions of higher education throughout the country culminating in a hearing in the Danish Parliament). In June Hall performs his first concert since 1999 at the castle Hindsgavl Slot, a highly profiled event involving video, poetry and full ensemble (the sold out concert is recorded and transmitted by the Danish National Radio). In July two new download versions of “You Know Why They Hate Me” from Introducing Roseland become available, one by Labelpuck, the other by Hess Is More. Releases his long awaited major novel The Last Romantic in August, a monumental 700 pages piece of work reflecting a young man’s journey over 25 years (taking place from the summer of 1980 up until the time of the release). The book is received with massive media hype and constitutes in no uncertain terms Hall’s literary breakthrough in terms of both attention and sales. In November he stages the literary performance Kopfkino at Roskilde Bibliotek, a journey through sound, images and text involving the narrator Herbert Zeichner and the classical singer Andrea Pellegrini. Releases the single Damage Control in January, a radio hit with no connection whatsoever to the following album Facsimile launched in February. In February Under For’s 1984 club hit “Free-Force Structure” is included on the German compilation cd Aderlasss Vol. 4 which is released in most of Europe (a double-cd containing classic goth and electro tracks selected by ten leading European clubs). 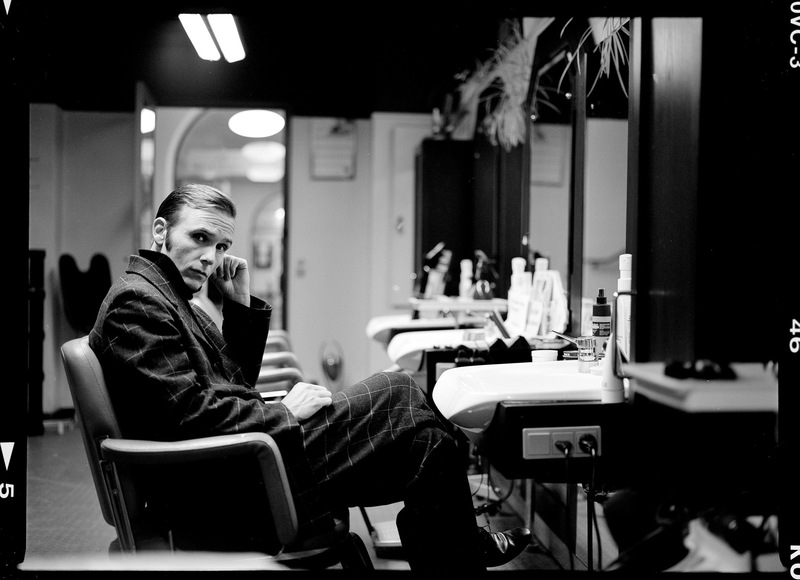 Performs his first concerts in Aarhus and Copenhagen since 1999 during March, at Aarhus Teater (an old theatre hall) and Store Vega. Writes the music for the Danish poet Nicolaj Stochholm’s new literary suite Færden, a performance that’s broadcasted on P2 on April 9. Participates at several Marcel Proust lectures in the same period, both as a guest at the salons of The Danish Proust Society as well as at Charlottenborg. Releases the limited edition cd Hindsgavl Slot 180605 in relation to the one-year anniversary of the concert. 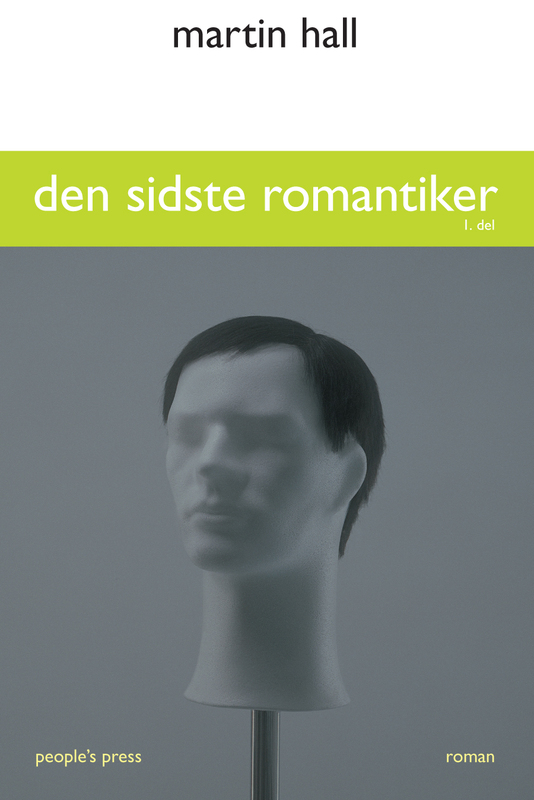 Throughout July and August the book The Last Romatic becomes “book of the month” in its re-release as a paperback on Gyldendal (the biggest Danish publisher) and in September Ballet Mécanique’s legendary debut album The Icecold Waters of the Egocentric Calculation is finally released as cd in a special 25-years anniversary edition. The album is attended by the independently released 7″ single Intellectual Self-Mutilation. Issues the download remix Torn Envelope the same month. In October Hall writes the music for the internationally acclaimed Danish installation artist Ingvar Cronhammar’s exhibition Racing Cars – The Art Dimension at Aros, Denmarks biggest art museum. Performs one of his most remarkable concerts ever at Glyptoteket with a classical line-up of 17 musicians on October 24 (the concert features appearances from The Danish Chamber Players as well as trumpeter Palle Mikkelborg). At the end of the year Hall appears on the renowned Danish group Efterklang’s American vinyl release One-Sided LP. Writes the soundscape to As if Through a Glass and Darkly, an installation project at Odense University College of Engineering created by Ingvar Cronhammar. Participates as composer in the annual classical summer festival at Fuglsang Herregård (a Danish manor) in relation to a concert with The Danish Chamber Players in August. In September Hall makes his literary debut in Germany via his contribution to the anthology Die schönsten Weihnachtsgeschichten aus Skandinavien. Releases the new download single ”World on a String” as a prelude to box set Catalogue (Martin Hall 1980–2007) set for sale in November, a collection of five audio-cd’s and a dvd covering his musical career from 1980 up until the time of the release (all in all 81 music tracks and 15 dvd-features). A major percentage of the material consists of new recordings – i.e. one disc contains entirely new remixes by names such as Dub Tractor and Prinz Ezo (a.k.a. Bjørn Svin). The recordings also include guest visits from the legendary Danish avant-garde composer Else Marie Pade and the flamboyant artist and flâneur Marquis Marcel de Sade. During the month of the release Hall also receives the Klub Golem Award 2007, a prize given to a person or group of people who have exerted substantial significance on the Danish underground scene. In March Infodementia is released, a series of articles and texts published in various major newspapers and magazines throughout the past year combined with several new essays written in Prague and Buenos Aires. In the same month Hall also makes his motion picture debut as an actor in the film The Flame and the Lemon by Danish director Ole Christian Madsen, the most expensive Danish-language production ever made. Figures in the lineup of authors attending CPH.LITT.08 (Copenhagen Literature Festival 2008) in June. From the middle of August till the end of October Hall surprisingly agrees to be one of the three judges in DR’s primetime show Talent 2008 alongside film producer Peter Aalbæk Jensen from Lars von Trier’s Zentropa and musical star Julie Steincke – a process Hall thoroughly analyses and depicts in the following, fairly scandalous book release Weightless Man under Ominous Sky. Parallel with these activities the download single Delirious appears, a title on which Hall collaborates with the young Danish group Marybell Katastrophy, followed by the compilation album Catalyst (Singles 1982–2008). During the autumn he also performs at the Danish Architecture Centre and the Danish National Gallery. In October Hall’s book The Last Romantic is published in Lithuania, Paskutinis Romantikas. In December the spoken word album Færden (“Movement”) is released, a collaboration with acclaimed Danish poet Nicolaj Stochholm. Releases three albums in February, two special editions of older works (Apparently All the Same from 1984 and Random Hold from 1996) as well as the new title Hospital Cafeterias. 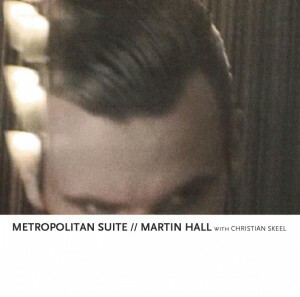 On this record Hall collaborates with a line of guest musicians such as Else Marie Pade, Claus Beck-Nielsen Memorial, Mikkel Meyer, Knud Odde, Andrea Pellegrini, members from Efterklang and The Vista Dome Ensemble. Subsequently the album video P.O. is banned from YouTube due to its “offensive” content, a decision raising quite a stir in the media (the video was made by Danish fashion photographer hansen-hansen.com and shows a shadowy girl posing in woman’s lingerie with a gag in her mouth). The Mikkel Meyer remix Bullring Rules of the “Sob Story” track from the album is included on the Klub Gaffa’s March cd (a cd that comes with leading Danish music magazine Gaffa). Participates in a series of literary arrangements during the spring, e.g. Jazz N Poetry as well as CPH.LITT.09. Writes the preface to an extensive Danish Charles Baudelaire collection released in June, Selected Prose, and contributes among a line of Danish top executives and MP’s to the book Authenticity in September. In the same month he performs with the Danish electronica act Tone at both the Robodays festival and the audio-visual Apart festival at Platform4. Hall also releases the new download ep Mirrorball as well as a remastered special edition of his two internationally acclaimed mid-80’s records Relief and Cutting Through. Achieves a minor club hit in England with the ”Mirrorball” remix Rewriting the Scene. Gives his first concerts as a singer since 2006 during October and November – in both Denmark and Germany – performances that all receive excellent reviews. Receives the Recession award for best Danish concert in 2009 while the Hospital Cafeterias album tops several lists for best 2009 albums (sites such as Geiger, Undertoner and Transmission). Contributes to the anthology Five Years of Literature in March. Performs an instrumental opening for the exhibition Re-Modelling the World (a retrospective featuring works of Danish artist Bjørn Nørgaard) at The Danish National Gallery in April. In June the dvd Totem/Nattens Engel is released. In August Hall performs with the internationally recognized classic accordeonist Bjarke Mogensen at both Nyborg Slot (a Danish castle) and at Schubertiaden in Roskilde. During the same month he contributes to the book Something Rotten! 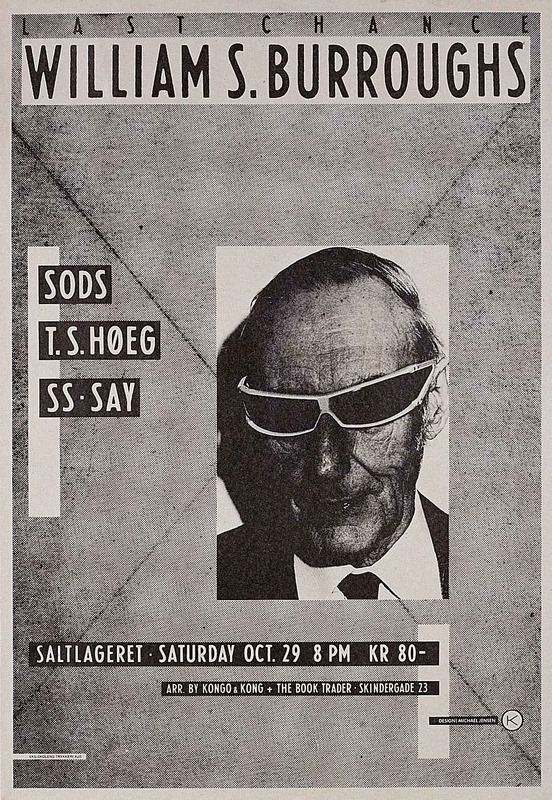 subtitled “Punk in Denmark: Painting, Music, Literature 1977–85”. In September he releases his first piece of fictional work since his literary breakthrough with The Last Romantic, the novel Kinoplex which is also published as an audiobook including a new soundtrack written and produced by himself in collaboration with Christian Skeel. Later that month Live at St. Paul’s is issued, a dvd-recording of his critically acclaimed concert performance at Saint Paul’s, and so is the Pesteg Dred/SS-Say cd I Have Seen You through the Years, Worn by Different Faces. Contributes to the anthology Subculture in October, the same month where he performs Kinoplex – Fragments of a Memory Journal at The Music Theatre of Copenhagen. At the same time Hall’s tv-show Salon Midwelt premiers on the Danish DK4 channel, a highbrow talkshow sent once a week during October and November. In October the original Pesteg Dred album is furthermore released in a special vinyl edition in America. The American Pesteg Dred release receives great international reviews in medias such as the illustrious English music magazine The Wire. In January Hall performs on the track “Hurt” on Sandra Day’s posthumously released debut album Sing – Don’t Cry (the diva of Danish transsexuals). In February he contributes to Minute Papillon, an album that consists of 60 new recordings made by 60 international artists (names such as Scanner, Opiate and Hannah Peel). Each contribution lasts exactly one minute, and Hall’s recording ”Textra” opens the compilation. At the end of the month he inaugurates the exhibition Mirror of the Soul at Holstebro Kunstmuseum (a Danish art museum) with a sound performance. In May he appears on the release of the legendary concert recording 30 Minutes with Danish post-punk pioneers Before, an album recorded live at Saltlageret in 1981 when the band played support to New Order. The track “Care” is included on the New York based label Minimal Wave’s album The Hidden Tapes. In June Hall contributes to the Danish literary magazine Oeverste Kirurgiske #52 with the text “Memoirs”. Writes a series of extensive essays for various Danish music sites such as Gaffa and Geiger during the autumn. 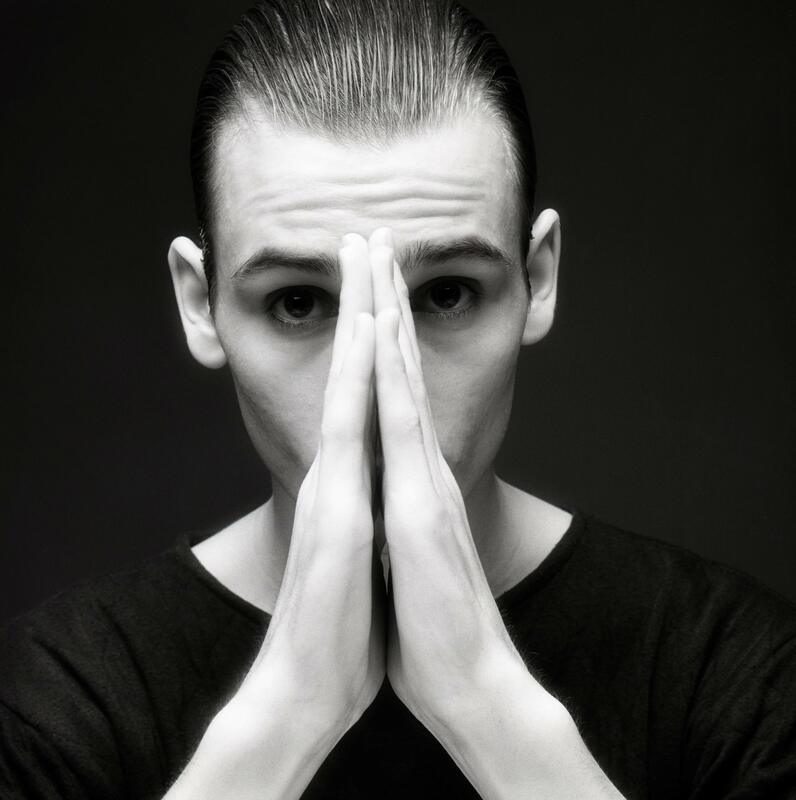 He also performs with the NME-hyped Danish punk band Iceage at the BITE festival. In December the Danish artist and musician Goodiepal performs a night of live Hall remixes. Releases the album Performing Apart in February, a collaboration with Tone. Produces several new videos such as Serienummer and St. Petersburg Notes. Performs as European headline act at The Podlasie Opera in Białystok, Poland, in relation to the international Songwriters Festival in June. The album If Power Asks Why is released in October, a series of new songs and “hybrid lieder” recorded in collaboration with mezzo-soprano Andrea Pellegrini and classical pianist Tanja Zapolski. In the same month he also releases the book Nostatic!, an collection of essays illustrated by the Danish painter and lithographic artist Knud Odde. During October Hall furthermore gives an instrumental concert at The National Gallery of Denmark in relation to the Matisse exhibition Doubles and Variations as well as performing at KOES (Museum of Art in Public Spaces). At the end of the month he collaborates with the soprano Djina Mai-Mai at Hvalsoe Church. During November and December the album If Power Asks Why is played live at theatres such as the Katapult Theatre in Aarhus and Teater Grob in Copenhagen, events where Andrea Pellegrini and Tanja Zapolski are accompanied by the Danish avant-garde ensemble Lydenskab. The Hall album If Power Asks Why is nominated for the P2 Awards 2013 in the category “Lyt til Nyt” (alongside works by Per Nørgaard, Arne Nordheim and Kaija Saariah). In March MH performs at the Danish Holmboe Festival (a classical festival) accompanied by the accordeonist Bjarke Mogensen. At the same time his new video Muted Cries appears, a prelude for Hall’s first solo album for more than seven years, the critically acclaimed Phasewide, Exit Signs that’s released in the beginning of April. During the spring he plays his first concerts with band since 2009 at venues such as Fuglsø and The Court Theatre in Copenhagen (a royal theatre built in 1766 situated at The Danish Parliament). Writes and produces the musical installations ”H-Kontinuum” part 1,2 and 3 for Horsens Bycentrum in June and releases the graphic work Memo in July in collaboration with Det Bruunske Pakhus. In August he performs at Odense Spoken Word Festival and at the Main Library of Copenhagen with Danish writers Naja Maria Aidt and Niels Frank. In October Phasewide, Exit Signs is released in Germany, Austria and Switzerland where it also receives excellent reviews. In November MH is nominated for two GAFFA awards (in the categories “Danish album of the year” and “best Danish male artist”). Ends the year with a final concert in Aarhus Musikhus on November 30. In December Phasewide, Exit Signs is elected “album of the year” by the Polish site Nowamuzyka (top 10 features artists such as Flaming Lips and Mazzy Star). Teaches periodically at The Royal Danish Academy of Music and works as a mentor for several artistic organisations. Writes the essay ”Comparisons of Monopolies on Violence” for the academic journal Reception #72 released in May (other contributors such as Christel Wiinblad and Theis Ørntoft). Performs at the Pineal concert in London on June 19 alongside names such as Marc Almond and Ernesto Tomasini. Hired as project coordinator for the Golden Days festival 2014 (the theme being World War I). In October MH designs the poster for “Spil Dansk Dagen 2014” (a yearly Danish one-day campaign promoting original Danish music). Contributes to the debate and photo book Mænd (“Men”) released in November. During the same month he writes and performs the spoken word play Prototype/Protokol (“Prototype/Protocol”) in collaboration with Lydenskab and Staal Film at KOES (Museum of Art in Public Spaces), GRAN Theatre in Aarhus and Københavns Musikteater in Copenhagen. The show is subsequently staged at The Royal Danish Embassy in Berlin as well. 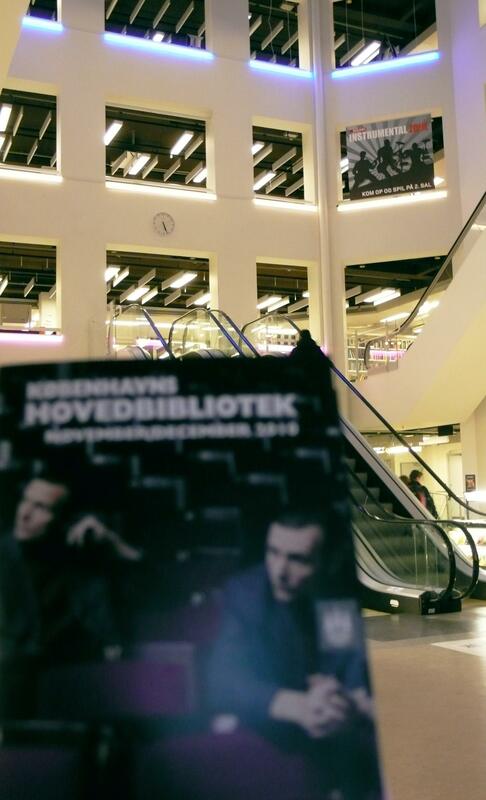 Performs at Bogforum, the yearly Danish book fair in Copenhagen, in November. Releases the spoken word album Efterladt (a Danish word that means both “abandoned” and “left behind”) in January, a musical work based on the last readings made by the Polish-Danish author Janina Katz. The video preceding the record release, “Efterladt VI” made by Staal Film, features the English pianist Othon Mataragas. Writes and produces the music for Ingvar Cronhammar’s exhibition H, an ambitious installation in The Cisterns, a 4.320 square metre wide water reservoir below Søndermarken (a large park in Copenhagen, Denmark). Contributes to the Tomas Lagermand Lundme curated group exhibition Ceasefire that opens at Overgaden in June (among other participants you can find Kristina Nya Glaffey, Jomi Massage and Rumpistol). Performs the stage play Prototype/Protokol once again in August in relation to Odense Spoken Word Festival. Portrayed as one of the most original recent composers in the Danish Broadcasting Corporation-series Danish music throughout 500 years at the end of the year. Part of the panel in the DR2 television show The Culture Council. Participates in KBH LÆSER’s Literature Salon #1. Special guest at Copenhagen Main Library’s evening “The True Marquis” in June. Performs in St. Thomas Church with a spoken word concert assisted by the multi-instrumentalist Johnny Stage at the end of the same month. Writes the music for the Poetic Theater performance Romantic in October, a theatre play performed in the exhibition building of The Free (a large exhibition hall in Copenhagen) and later featured at Fotografisk Center (the play is based on the lyrical contents of Danish writers Morti Vizki, Michael Strunge and Lene Henningsen). Contributes with an essay to the anthology Changes released in November. During the same month Hall is interviewed by Martin Kongstad in Politikens Hus as part of the publishing house’s monthly author evenings. Releases the album Random Hold in a first time ever vinyl edition in relation to Record Store Day 2017 on April 22. The new version is remastered by the album’s original co-producer, Thomas Li. In this respect Copenhagen Main Library arranges a feature night on the record presented by Danish National Radio P6’s Anders Bøtter alongside MH (the evening is streamed live on the library’s website). In the same period the Polish indie-band Hidden by Ivy releases their cover version of the song ”Another Heart Laid Bare”, one of the original singles from the album. 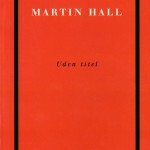 In August Hall issues the book 1971-1985, an autobiographical depiction of his formative years as a boy and a young man. 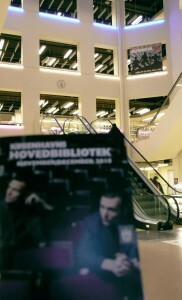 The release is met with massive media coverage and the launch of the book takes place at a packed Politikens Boghal where Hall meets the literary editor at Jyllands-Posten, David Jacobsen Turner, for a short talk about the writing process. The following week the book enters top 10 of the Danish bestseller chart. Writes the music for the Ingvar Cronhammar exhibition Design that opens at HEART on September 9. Releases the book and vinyl box set Hall Cronhammar Index the same month, a body of work that contains edited versions of his four major Cronhammar compositions made in the period from 2001 to 2017 (Elia, Racing Cars, H and Design). A limited edition of the box set is made available in a special collector’s item version featuring a set of Cronhammar’s new cutlery, Hansha, engraved with the artists’ names (later the release is awarded the prize “Best Design 2018” by The Danish Book Craft Society). In November MH appears at Bogforum at Bella Center Copenhagen. In relation to Gyldendal’s re-release of 1971-1985 Hall meets Kirsten Thorup, the winner of Nordic Council’s Literature Prize 2017, at Tranquebar at the beginning of January for an authors’ evening. In March the digital single and video Lesser Gods is made available, a prelude to the upcoming the double vinyl album, cd and music cassette A Brief Summary. The week after its release the latter enters the official Danish vinyl chart as #2 – Hall’s highest chart ranking ever. During the same period he produces the P1 podcast “My 1968”. At St. John’s Eve he gives a spoken word performance assisted by musician Johnny Stage in St. Lukas Church. During August MH appears at Odense Spoken Word Festival. In September he releases his first new song since 2013, the 12” single Services Rendered. In October Hall performs his first concerts as a singer with band for more than five years at venues such as Fuglsøcentret and Bremen Theatre.